What a great way to decorate a box. 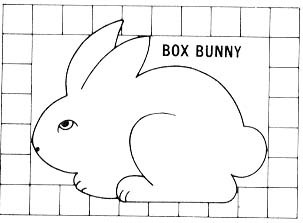 This bunny and box were published in the McCall’s Needlework January/February 1982 magazine. He would look good on a box and matching table runner. Just right to decorate the Easter dinner table. I can see him hopping onto the bib of an apron or the bib of your own little Easter bunny. This would be a great solid bunny to use for potato stamping onto a carry all or tote as well. 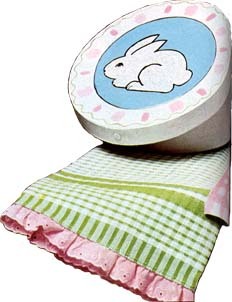 These Easter embroidery motives were published in the 1992 insert for the Cross Stitch and Country Crafts Magazine. Aren’t they cute? There are several to chose from. 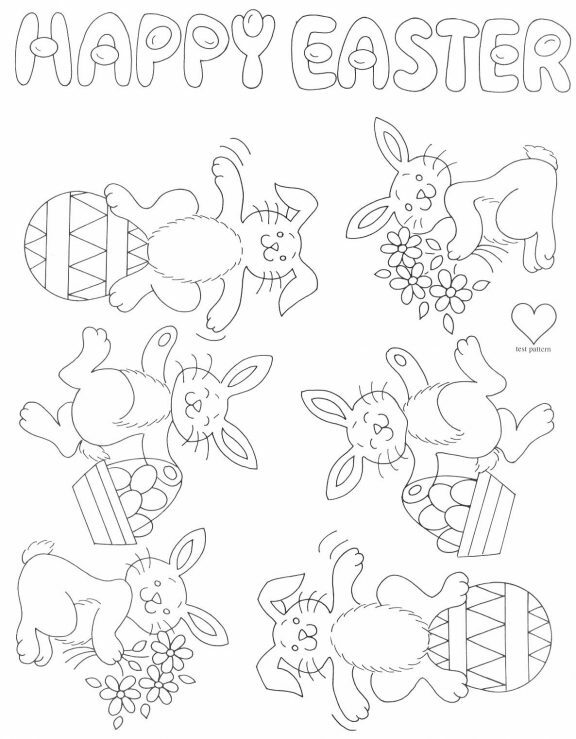 They would look great hopping over your own Easter bunny’s blanket and bibs or on a little crib quilt. They could be enlarged and appliqued onto a larger quilt as well. Wouldn’t the little bunny on the ball look cute painted on a nursery wall?